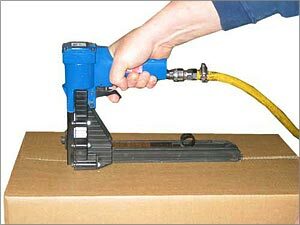 A top carton clinching stapler does not need counter pressure, which makes it ideal for fast and secure closing of lids. 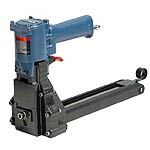 Top carton staplers are available in both manual and pneumatic versions. The pneumatic models are rapid cycling, with efficient silencing and ergonomically shaped handles. The stapling depth can be set to any of five levels. The manual models have the same lower design and are ideal where there is no compressed air supply available or a greater degree of movement is needed. 2 year extended warranty for Josef Kihlberg (JK) staplers.